Posted by StrategicGrowth in marketing strategies, mobile, mobile coupons, Mobile Marketing, Social Media, Strategic Growth Concepts. In Part I of our multi-part Mobile Marketing series we learned that Mobile Marketing is most effective when incorporated into an overall marketing strategy, and used as a supplement to the mediums you are already using. Local Business Listings – These are the free yellow page listings by Google, Yahoo, Microsoft and many other directories; and these directories are the resource that consumers will use to find your business – particularly when they are ‘on the road’ and searching on their mobile device. There are over 60 local business listing websites on the Internet in five different categories. They include the search engines, social communities, 411 websites (aka yellow page type websites), GPS websites and the age old business directory. Most of them are free but need to be ‘claimed’ by your company in order to insure they contain accurate information that drives customers to your business. Failure to ‘claim’ your listing may mean that inaccurate information about your firm is posted to them from other sources, or that someone else may hijack your listing for unscrupulous purposes. To effectively ‘claim’ your listings can be extremely time-consuming and tedious, therefore, an alternative option is our Local Business Listings Management Service which can handle this task for you. Google Mobile Coupons – Google is just one of the search engine directories where your business should be listed to insure it will be found via Internet or Mobile search, however, Google offers a distinctive advantage. For over a year now Google has been offering all businesses with a Google Local Business Listing the ability to include Mobile Coupons as part of their listing. The Mobile Coupon tool is FREE to use, and you can include multiple coupons with your listing. Then when your firm comes up in the search listings, potential customers will also see your Coupon. It could be just the advantage you need to make them pick your company over your competitor’s! Social Media – many of the most prominent social media sites now allow members to access them via their mobile phones, in fact, Facebook which boasts 400 million users, recently publicized statistics which indicate that more than 100 million of those users are using mobile phones to manage their account. This means if your firm already has a presence on social media, that you are likely already benefitting from Mobile Marketing without taking any additional actions. However, if you’re not yet participating in social media, then it’s time to get on board! If you would like to learn how social media can work for your firm and help to increase your Mobile Marketing presence, or if you would like assistance in developing and managing a social media program, please go to the social media section of our website. SMS Messaging (text messaging) – According to the Director of Research at Nielsen Mobile, “People look at every text message they get”, and they do so within 15 minutes; in fact, studies show that 97% of cell service subscribers read any text messages they get within 15 minutes. Can you think of any other advertising medium where you are almost guaranteed that every person targeted will see your message? In today’s “on-the-go” world, studies show that 84% of mobile phone users keep their device within 10 feet of them at all times. Considering that over 85% of potential consumers have a cell phone, that’s a huge potential customer base that’s easily accessible (as long as they have opted-in to receive messages from you)! Recent surveys also indicate that consumers are very accepting of mobile offers sent to their phones as long as they are from companies in which they have interest. The really good news is that the technology has advanced far enough that there are now SMS Mobile Marketing platforms where you can easily create your own text messaging campaigns within minutes – and starting as low as $25 per month! Learn more about your text messaging options on our website. Some ways you might use SMS messaging might include: coupons, contests, regular ‘tips’ about your product or service, and incorporating your KEY WORD and SHORT CODE in your print, billboard, radio or TV advertising to encourage people to opt-in to your mobile list so you can then contact them via SMS on a regular basis with offers designed to encourage them to do business with you again. Mobile Website – In the last 5 years it has become an imperative rather than an option to have an Internet website. Now, it is also becoming an imperative to have a mobile version of your website. These sites are optimized specifically for easy viewing on the wide variety of mobile phones available today and are NOT just scaled down versions of your Internet website. However, technology advances have also made this option much easier to implement, and services exist where you can build your own mobile website or have it done for you typically for several hundred dollars or less. Learn more about mobile website options on our website. QR Codes – Another very viable and cost-effective Mobile Marketing option are QR codes. These are 2-dimensional graphics (similar to the barcodes on products you buy at the grocery store) that contain information that can lead your customers to a website, display a coupon, provide driving directions or a map, provide contact information, or many other valuable uses. In order to ‘read’ a QR code a consumer downloads a QR code reader into their phone (though the software comes standard in Europe and Asia, that is not yet the case in the U.S. but likely will be soon), then they take a picture of the code with phone’s camera and the software automatically sends them to whatever content you had embedded within your code. You as an advertiser can place these codes in your print ads, on websites, on billboards, on t-shirts, in emails, or on any other printable or digital medium where a camera would be able to take a picture of it. Learn more about using QR Codes on our website. This is just a brief overview a few of the many ways in which Mobile Marketing can be utilized to promote your business cost-effectively. If you would like to learn more about the ways Mobile Marketing can help your business specifically, please contact us via our website or email us at info@StrategicGrowthConcepts.com . In Part III of this series, we’ll review case studies that show a variety of ways Mobile Marketing is being utilized by other small businesses so you can begin to consider how to apply this high ROI technology to your business. Future segments of the series will continue to explore Mobile Marketing, and attempt to answer any questions submitted to us about the medium. If you would like to have your questions about Mobile Marketing incorporated into our series, please submit them to us directly at info@StrategicGrowthConcepts.com and include “Mobile Marketing Questions” in the subject line of the email. Posted by StrategicGrowth in marketing strategies, Marketing-changing technology, mobile, Mobile Marketing. As part of our on-going information series about Mobile Marketing, we are working to make our readers familiar with the different types of Mobile Marketing tools available for promoting your products and services. One that has yet to gain much attention is QR (quick-response) codes. While not yet part of the mainstream here in the U.S., in Europe and Asia these codes are an everyday technology for consumers and retailers, and our research tells us it won’t be long before that’s also the case here. Think of QR codes as the barcodes currently read by the cashier at your local grocery store. Those codes contain product information such as pricing, sku, inventory info, etc. ; scanning the info enables them to move you quickly thru checkout, and if you are part of the grocery store loyalty/discount program, then it also uploads a history of your purchases to your account. This allows the grocery chain to provide you with special offers related to the types of purchases you make, it helps them see how often you visit their store, and it helps them with inventory/purchasing management. QR codes are the same thing – but these are scannable by cell phones – and any company can put whatever information inside the code that they would like. Read the article below for a more detailed overview of QR codes and their potential use for retailers. The Nielsen Company recently predicted that smart phones will overtake “feature phones” (those without a keyboard and internet access) by next year. Most business people are already carrying an iPhone, Blackberry, or one of the many Windows Mobile smart phones; the rest of the population isn’t far behind. In fact, while smart phones started as a business tool, two-thirds of new buyers are personal users. Mobile coupons have already begun to make inroads into what was once the domain of the venerable paper version; there are more sites to find and download mobile coupons now than one can reasonably visit. While these coupons don’t require a smart phone, viewing and scanning them is certainly easier on the increased screen real estate the smart phone platform offers. If you’re a retailer, the logical question is, “What’s next?” The answer: QR codes. Also known as 2D barcodes, or matrix codes, QR (for quick response) codes are in use throughout Europe and Asia, and thanks to the growth of smart phones, they are beginning to make their way to the United States. QR codes are essentially a way to link online content to a mobile device. Using a scanner — numerous versions are available for mobile phones — the shopper scans the code and is redirected to a website, or a video, or some other content that the creator of the code has developed. Today, you’re most likely to come across them in the United States in a magazine ad, inviting you to scan the code and be taken to a link with more information. Retailers should be working to implement this technology as soon as possible; while QR codes are not in the mainstream today, they will be very soon. Recent research predicts that two-thirds of retailers are planning a digital mobile initiative launch before the end of this year, and many of these will include a QR code capability. Manufacturers are already planning to incorporate this technology into advertising and packaging. Of course, there is a great deal more to the technology, but the premise is as tantalizing as it is simple: shoppers scan a barcode on the shelf edge using their mobile devices, possibly with a branded scanner that you, the retailer, provide. This scanner could, and should, be part of a complete mobile application that connects your brand to the shopper and assists her throughout the path to purchase. Once she scans the code on the shelf, the shopper is taken to a website or some other mobile-enabled content and provided with information the retailer controls. At the same time, a retailer can collect information on the shopper, such as where and when she scanned the code, how many codes she scanned, and what actions she may have taken afterward. Interface this with a retailer’s loyalty database, and the possibilities for connecting in a meaningful manner with the best shoppers become clear. Nearly every retailer today has some type of loyalty program. Most involve issuing a card or key tag to shoppers, and most entice shoppers to use their cards by offering temporary price reductions that are only available to card holders. From here, data are gathered and analyzed, with the intent of providing insights that allow the retailer to market more effectively to shoppers based on their purchase behavior. Consider the possibilities if that same program is tied to shoppers via their mobile device rather than a key tag. And instead of just getting the results of shopper behavior after the fact, consider the benefits of getting in on the pre-shop planning: list-making, coupons, etc. Then follow the shopper to the store and connect with her there via QR codes at the shelf edge — codes that are unique to that store and offer benefits that are relevant to that local shopper. Then follow up with the shopper with a post-shop program that could include surveys, savings analyses to show her how much she saved, and offers for her next trip to make sure it’s to your store. Once a retailer starts thinking beyond the key tag and becomes a part of the process rather than just looking at results after the fact, opportunities abound. With this approach a retailer is not just throwing out offers, it’s having a dialogue with its shoppers; building and maintaining a relationship that benefits both the retailer and the shopper for the long term. The technology is available today — right now. And right now is a good time to start preparing for when the smart phone becomes the mobile device of choice. Engage shoppers today with a QR code at the shelf, and start building an overall mobile loyalty strategy that goes far beyond the key tag. 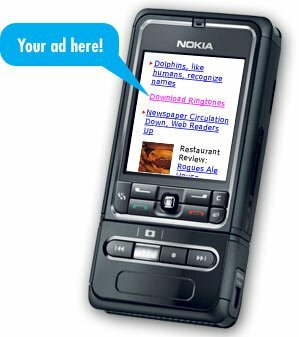 Should you be interested in learning more about mobile marketing and how it can help grow your business, please review the mobile section of our website, additional mobile marketing articles within this blog, or contact us directly via the website or email at info@strategicgrowthconcepts.com for a FREE initial consultation. 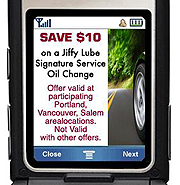 Posted by StrategicGrowth in mobile, mobile coupons, Mobile Marketing, Strategic Growth Concepts. So let’s answer those questions! First, what exactly is mobile marketing? And that communication and engagement is being implemented by marketers from the smallest ‘mom & pop shop’ to the largest multi-national corporations. As the traditional marketing channels suffer various levels of decline, mobile marketing is experiencing triple-digit growth annually. A Mobile-optimized version of an Internet website providing an easy way for consumers to learn about your company ‘on-the-go’. Next, Are they right, should your business be using Mobile Marketing? Is it really as effective as they say it is? According to the Director of Research at Nielsen Mobile, “People look at every text message they get”, and 97% of them do so within 15 minutes. Can you think of any other advertising medium where you are almost guaranteed that every person targeted will see your message? An additional recent example of mobile’s results is the spectacular fundraising efforts for Haiti which were driven by mobile donations. Almost $5 million dollars was raised in less than 48 hours via text message contributions, and to-date, more than $30 million has been raised via mobile. A Nielsen study indicates more than half of mobile data subscribers (51%) who saw a mobile ad responded to it by sending a text-message, clicking on it, or calling a specific number. In analyzing the mobile audience, Nielsen found that teens were the most likely to recall seeing some type of mobile ad (46%) compared to 29% of users overall. Asian-Americans and African-Americans were among other demographic groups with high recall rates, at 42% and 40%, respectively. 88% of all mobile subscribers have a text enabled phone. 51% have received SMS marketing messages, and 25% have opted in to marketing messaging from a brand. Will my customers want to receive mobile messages? 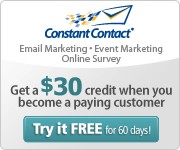 A new survey published by Compete.com indicates smartphone owners are very receptive to mobile coupons. The survey, which looked at the time of day most smartphone owners use their devices, as well as what mobile advertising concepts they’re most interested in, found that usage during commutes to work and while watching TV were the highest by far. Can I afford mobile marketing? Absolutely! Mobile marketing is an extremely cost-effective medium to use with an exceptional return-on-investment. While some firms have achieved an ROI as high as 54% or 62%, typical results range between 7 – 15%; still quite high as compared with more traditional media such as Direct Mail which typically attains a 2 – 3% ROI. And now, Mobile Marketing is very accessible for even the smallest of firms. Small business owners can implement their own unlimited mobile advertising campaigns – within minutes – for as little as $25 per month, through a service now being offered by Strategic Growth Concepts – and, no contracts required! If you would like to learn more about Mobile, please TEXT the word STRATEGIC to 244326. This will opt you in to Strategic’s Mobile Club, and notify us to schedule you for a FREE demonstration. Members of our Mobile Club will be eligible for future special offers, and will receive tips on using Mobile Marketing to benefit your business. If you prefer not to join the Mobile Club but would still like to receive the FREE demonstration, you can contact us directly at info@StrategicGrowthConcepts.com. Posted by StrategicGrowth in email marketing, mobile, Mobile Marketing, Social Media, Twitter, Video Marketing, Web 2.0. Online display advertising’s share of revenue has plateaued at 20% of total online ad spend in the U.S. Despite online video’s persistent positive buzz, actual usage is averaging around six minutes per day in the U.S.
Packaged goods manufacturers, pharmaceutical companies and telecommunications firms, three of the largest historical spenders on traditional media, are moving online at a pace we haven’t seen before, even as the recession continues to deepen. Access to social networking sites via mobile devices almost tripled during 2008, largely due to rising smartphone penetration and improved network speeds. Increasingly consumers are turning to their phones for a wide range of online content. The pace of new online users has significantly slowed down, and the story has become about how much time people are spending online and what they’re doing while there. Americans spend the most time online during the average month (about 2 hours per day). The U.S. online population skews more to the age 50+ than the other countries listed in the study. It is rare to see segments grow from BOTH an audience and an engagement standpoint, but we are seeing exceptional growth in these areas over the last couple of years in both video and social media sites. While Member Communities (Facebook, MySpace, etc) have been garnering impressive audience numbers for the last five years, video audiences have been growing at meteoric rates. From a time spent perspective, Member Communities surpassed email for the first time in February 2009. From February 2008 to February 2009, the viewers of online videos grew 10%, the number of streams grew 41%, the streams per user grew 27%, and the total minutes engaged with online video grew 71%. The reach of Member Community (social networking) sites is highest in Brazil (80%) but growting fastest in Germany (from 39% to 51% in one year). The steady upward march of micro-blogging site Twitter will likely be the biggest online media story this year. In the U.S., the mobile Internet audience grew 74% between February 2007 and February 2009. More than 12 million U.S. mobile subscribers access their social networks over their phone. As consumers look to do more on their phones while maintaining or perhaps decreasing their overall wireless spend, we expect that consumers will continue to warm to the idea of ad-supported mobile content. This information is extremely valuable to marketers and small business owners as it enables companies to see areas of tremendous opportunity where they can maximize their firm’s brand awareness among target audiences. Click HERE to review the complete Nielsen report and determine how it can be utilized to your company’s benefit. Should you need assistance sorting thru the options to develop the best marketing strategy for your firm, please contact us to schedule a FREE initial consultation.